Do you suffer with persistent pain and joint aches? Have you been diagnosed with degenerative arthritis? Do you require repeated treatments to align your spine because the adjustments just don’t hold? If you answered “yes” to any of these questions, you may be a candidate for prolotherapy. Prolotherapy is a medical procedure that strengthens the supportive structures around your areas of joint discomfort and instability. By strengthening these areas, degenerative processes can be slowed and spine alignment is often maintained without repeated spinal adjustments. Pain often diminishes or subsides entirely. The goal of this therapy is to produce normal dense fibrous tissues which strengthen the attachment of ligaments, tendons, joint capsules, and fascial (connective tissue) structures at their fibro-osseous junctions. These sites are injected with solutions known to have the capacity to produce new fibrous tissue. 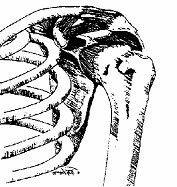 As the new tissue is formed, the hyper-mobile joint will stabilize. Prolotherapy is also known as regenerative or reconstructive therapy with the older terminology being sclerotherapy. Actually, a form of prolotherapy dates back to 500 BC. It has been used in various cases for 50 to 60 years, but it was in 1963 that Dr. G.S. Hackett reported success in treating hyper-mobile sacroiliac cases and weakened disk ligaments as therapy for spondylolisthesis. Anyone suffering from joint pain subsequent to injury, nutritional insufficiency, metabolic disorders, or arthritis, may be a candidate. Loose ligaments and tendons result in hyper-mobile joins which are moderately to extremely painful and stiff. What areas may be treated by prolotherapy? Prolotherapy is effective in the treatment of whiplash injuries, neck and back pain, dislocated shoulder joints, knee and elbow joints, disc lesion, and multiple other joints. Dr. Auburn has experience performing this therapy in almost every joint in the human body! How long do Prolotherapy treatments take? A single treatment takes just a few minutes. The length of treatment varies from a period of a few days to a number of months, depending on the patient. Patients are often treated on a every other week basis, sometimes more or less often, as needed. Any pain involved with the injections will vary according to the individual. Some patients may experience some degree of pain while others may experience a moderate amount of discomfort. Solutions used in prolotherapy usually contain a local anesthetic such as Procaine or Lidocaine. Other ingredients within the solution may include dextrose, phenol, sarapin, sodium morrhuate and other specific ingredients tailored to each patient’s needs. Cortisone is not commonly used in prolotherapy. Analgesics (pain medications) are given if they are needed. A newer form of prolotherapy is now available called Platelet Rich Plasma Therapy (PRP). It is actually a type of prolotherapy, but stronger. The difference is the solution. PRP is actually the patient’s own blood, spun down in a centrifuge to concentrate the platelets to 4-5 times their usual concentration. This platelet rich plasma concentrate is then used to inject the affected tissues. Platelets have 10-15 growth factors and these platelets also contain the person’s own growth hormone. This leads to more repair, regeneration, and stem cell production at the affected tissue. This makes it a stronger treatment and it is often used in difficult cases or when there are severe irritations or lack of healing in tendons, fascia and deep connective tissues. It is often used in athletes for the enhanced healing benefits and allows faster return to activity. PRP treatments are most often done on a monthly basis. Can Prolotherapy and PRP help everyone? Shoulder or hip pain causing trouble sleeping. Joint pain worse with activity and better with rest. Adjustments help but don’t last. Grinding, popping or clicking in a joint. If muscle relaxants, arthritis medication, cortisone shots or nerve blocks fail to resolve the problem within 6 to 8 weeks. When surgery has failed. Joint pain helped by a sling, brace or splint. Diagnosed with ligament or tendon sprains or tears. Deep aching or pulling pain in the joint. Shooting pains, tingling or numbness. Contact us and let us help you decide if you are a good candidate for prolotherapy or PRP.